Ian Macfarlane says mine will open. News THEY know how to make a million and these two successful Australian businessman say claims about Adani’s coal mine are delusional. News Take away the temporary booms from construction and other short-term jobs, and employment growth overall is no better than before the global financial crisis. 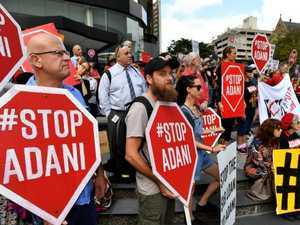 Crime ANTI-ADANI activists claim they were run over when they attempted to block cars from entering the carpark of a company likely to build the mine in Queensland.